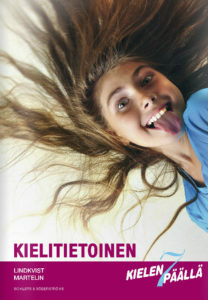 A book teaching Finnish for school children tells on page 11: “It is important to know the infinitive, if you need to look up the word in a dictionary. You can get help in this at verbix.com that recognizes the conjugated verb form and returns the infinitive”. The feature of finding the infinitive is available for many languages. More than this, you don’t even need to know the language of the entered verb form but Verbix will find it out. The new version of Verbix for Windows is under planning. In this new version additional verb information will be built up from scratch. This means that all existing verb information — aside from verb conjugations — is under inventory. As Verbix has been developed by several volunteers under 20 years, the additional information is in multitude of formats of different quality. Now the aim of the upcoming release is to go through all verb information, such as translations, synonyms and antonyms. And the information will be presented in a consistent way. This is one of the design goals of something that is called “Verbix 10” now. For those that like machine-translation, the past years have been really exciting. Thanks to the Google’s machine translation API, there was an increasing number of fancy machine-translation gadgets that brought machine-translation to the user’s desktop in a very comfortable way. Unfortunately Google no more offers theire machine-translation service for free for programmers. So we can say goodbye to all the nice and free machine-translation gadgets that we used. As of today I don’t know any free machine-translation gadget that I could install on my desktop. Perhaps I should revive the WinXLator project. WinXLator was a machine-translation gadget that was very simple to use. This gadget was based on Apertium machine-translation technology. The biggest benefit of WinXLator over Google translator was that it didn’t require Internet connection to work; all the files needed were installed on the PC. WinXLator — the free machine-translation app — was released 1½ years ago but withdrawn later. WinXLator couldn’t compete with the Google-based machine-translation gadgets. The bottle-neck was the limited number of supported language-pairs. But perhaps we should give WinXLator a second try. And also give users a free machine-translation gadget? Today Verbix 8 Beta was relased. It is the first public beta version of the upcoming Verbix 9. New user interface that clearly divides the software into language selection view and verb conjugation view. Enter the verb in any language and Verbix translates it to active language. 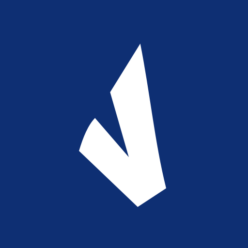 Verbix 9 Beta is available for download here. Earlier Verbix versions have translations for common verbs. One problem is, however, that the translations had no context. And when translating one word in the source language can have multiple translations according to the meaning. The upcoming Verbix 9 will include meaning (or context, as mentioned earlier in this article) of the translation along with the translation itself. This helps the user to choose the correct translation in the desired context. So will Verbix 9, too. 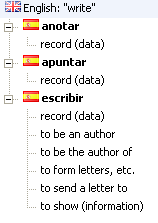 As seen in the image, a dictionary entry can sometimes include the translation multiple times. This is the case with ‘escribir’, because it bares multiple meanings. This makes the list easier to read.